The QTS Series of twin screw pumps is the latest addition to Ampco’s robust line of positive displacement pump technology. Specifically designed for the gentle handling of soft solids and viscous products, the QTS has a virtually pulsation-free operation. With four model series to choose from, the QTS can efficiently pump up to 1.5”(38mm) suspended solids while maintaining visual and particle integrity of the media. Being capable of processing and CIP (clean-in-place) without additional pump requirements, makes the QTS perform dual duty – two pumps in one. The durability of the QTS is proven in its material makeup; fluid end machined from solid 316L bar stock and a 304 stainless steel gearcase, standard. The QTS Series is EHEDG and 3A Certified. Multiple screw sizes and pitch options (with optional hardening available) are paired with a variety of port and seal options to further enhance this line’s versatility. The QTS is up to challenging applications too. The pump body comes standard with TDC coating making this pump durable enough for abrasive chemicals, personal care products, and more. 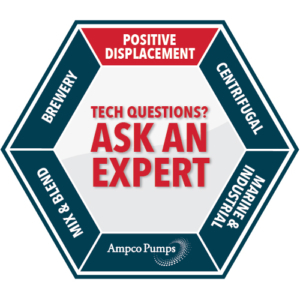 Contact the Ampco application engineering team to discuss the many positive displacement pump solutions offered by Ampco today! 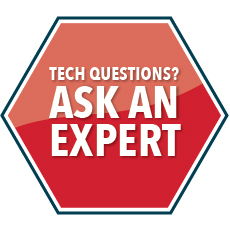 The ability of the QTS to run at speeds as high as 3000 RPM, and handle wide-ranging viscosities makes it an extremely versatile choice for processors worldwide. Parts are always available for next day shipping. Ampco has one of the largest parts inventories in the industry.